Starting with our most prestigious Polish Pens series, the Premier® line’s high quality is complemented by elegant packaging and a multitude of accessories. The red-and-white elements of the series show respect for the symbols, customs and the tradition of Polish history. 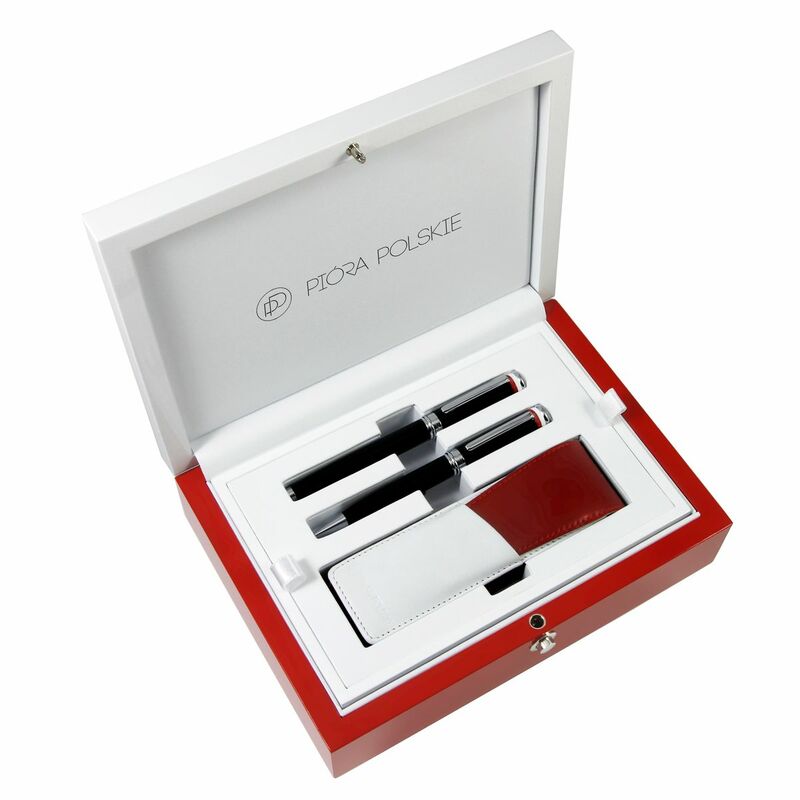 The first 50 sets of the 500-piece limited series consists of a pen, a fountain pen and a ballpoint pen, all engraved with the Polish eagle on their end cap. 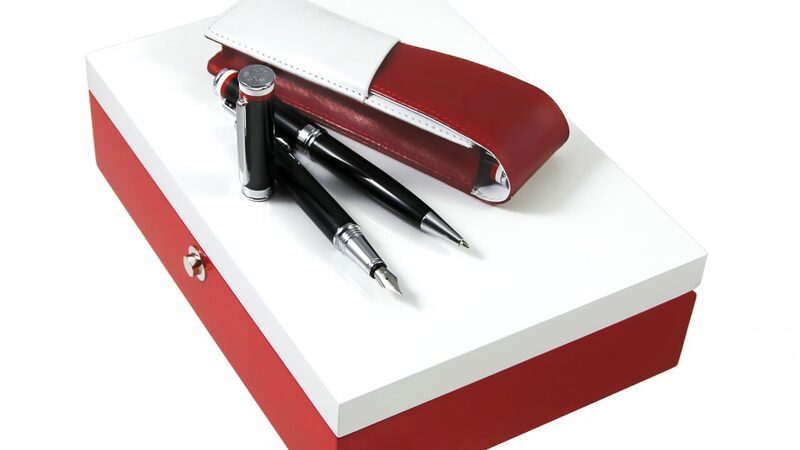 To further bring out the prestigious character of these sets, they have been put in an exclusive white-and-red wooden case filled with additional accessories, including a pen case made of top quality natural leather. Both the packaging and leather cases are produced locally. The cases in the Premier® series are hand made using alder and beech wood. They are then covered with two coats of varnish and hand polished, while the Polish Pens logo is stamped inside. The designer cases are are also hand-made using high-quality natural leather.